What are the signs of autism in a toddler? As a parent it may be difficult to determine what normal toddler behavior is and what may be a sign of something deeper going on. Autism is becoming more prevalent which means there are more resources for parents who wonder if their toddler may be exhibiting signs. There are many signs of autism you may not realize until later on in the child’s life, but here are some that may mean your child is on the spectrum. Early detection is crucial for interventions to have the best chance at making an impact on your child’s life. It doesn’t mean there is no hope for recovery if you start later. It just means you have to work harder and longer to achieve the same result. Progress is still progress no matter how slow. What are the signs of autism in a toddler? 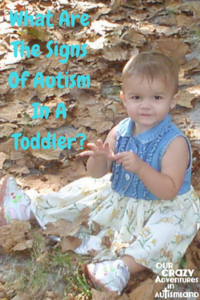 Some characteristics of autism can become prevalent in your toddler. Early intervention is key! Fails to Respond to Name by Age 1 – most toddlers know their name by 12 months of age.If your toddler doesn’t seem to respond to their name at all , you should be concerned. Avoids Eye Contact – if your toddler talks to you but seems to avoid eye contact, this is one of the biggest signs of autism, even in later years. Answers Questions with Unrelated Response – perhaps you ask a question and your toddler’s answer is completely about another subject, this may be a sign of autism in a toddler. Tantrums over Minor Changes – sure toddlers have tantrums from time to time, but if your toddler is throwing major tantrums over minor changes in routine or schedule then there is a problem. Obsessive Interest in Spinning – some toddlers will spin in circles or enjoy swinging constantly; this spinning motion often calms children with autism. Has a Tic – a tic can be something like hand flapping, rocking body forward and back, clearing their throat constantly , etc. 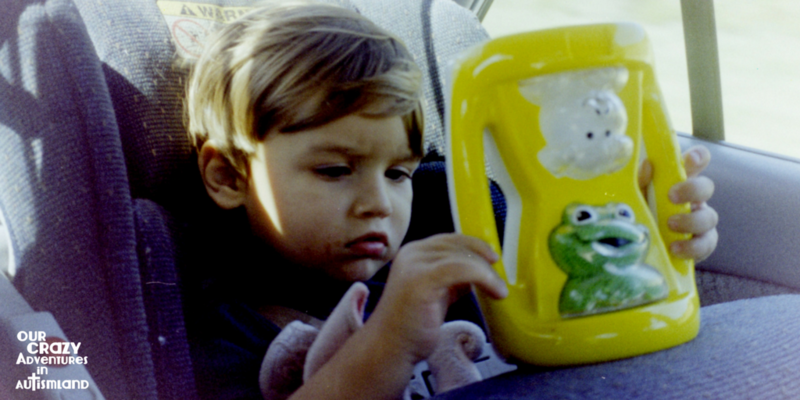 Lack of Social Interest – children with autism are socially awkward. They won’t engage in social contact like their toddler peers may seem to. Requires Specific Routine – toddlers with autism require a strict daily routine or else there will be intense meltdowns. If your toddler requires a strict daily routine that you can not deviate from , there is a concern for autism. Bothered by Loud Noises – if your toddler is extremely bothered by loud noises to the point they have to wear ear phones or else have a meltdown, they may be on the spectrum. Extreme Anxiety – your toddler may exhibit extreme anxiety such as not being able to separate from you. No sense of danger – if your toddler seems to have no comprehension of danger such as cars or heights or wanders then you should get an evaluation. It’s really difficult to narrow down all signs of autism as the spectrum includes a board range of symptoms. If you feel that your child may have some of these signs of autism, please reach out to your family doctor. 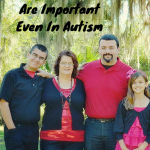 Ask for an autism evaluation to be done by someone who is familiar with the spectrum. This usually means a referral to a developmental pediatrician if your doctor is uncomfortable making the diagnosis. If you don’t have access to a doctor then most school systems will either do the evaluation or send you somewhere else to get it done. In either case, if you have concerns , don’t hesitate to get it checked out.